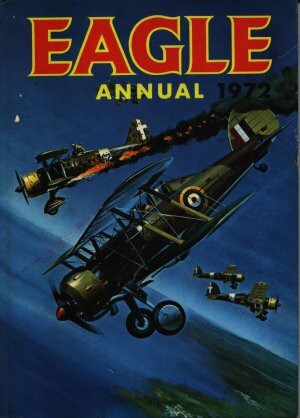 Eagle Annual 1972 sees decimalisation hide a 12% rise in the price. Dan Dare fights the Mekon again and H.M.S. Victory is cutaway once more, only this time in colour. Time and its recording are explained. Dimensions : 19.5cm x 27cm with 128 pages.